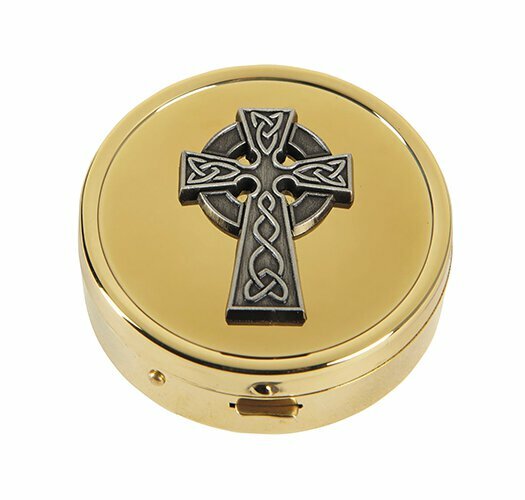 Carry the consecrated hosts in this beautiful Celtic Cross Pyx on your visitation to the sick or homebound. This vessel holds up to ten hosts and bears the Celtic Cross on an embossed metal design. The solid brass with a high polished finish inside and out make this pyx a wonderful value and a secure latch closure provides a barrier to dirt and moisture. Sold in quantities of 3 per package.